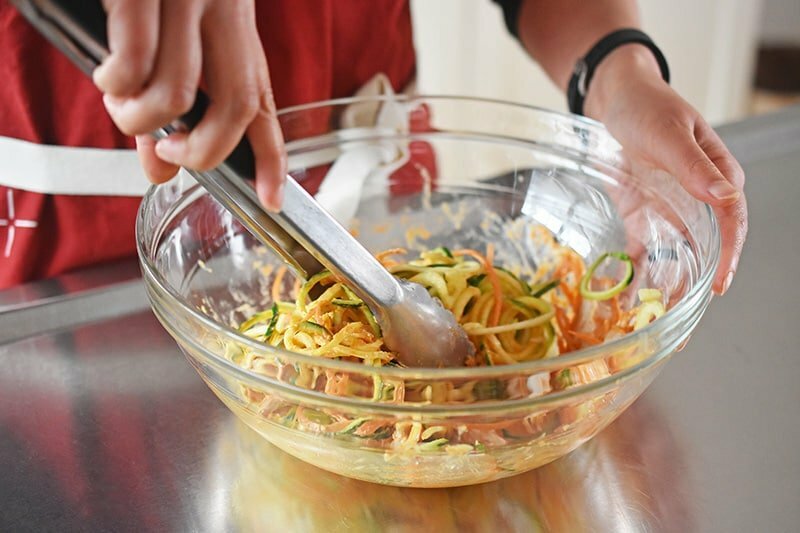 Make the dressing in a large bowl by combining the sunflower seed butter, sriracha, lime juice, and a pinch of salt. 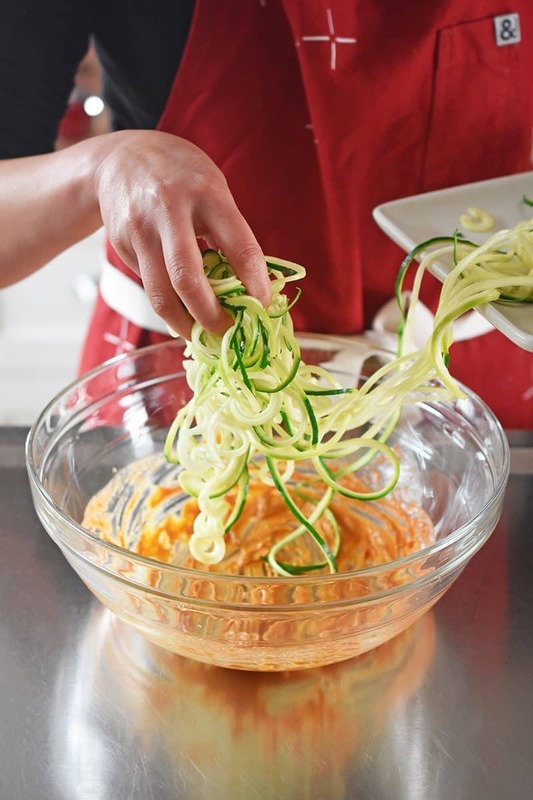 Whisk well to blend a thick sauce. Ta-dah! 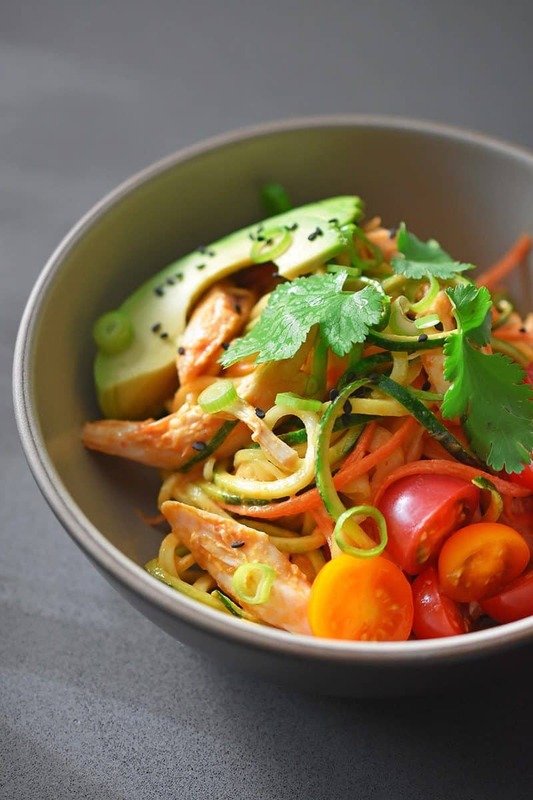 Now go grab your veggies and leftover cooked chicken from the fridge. 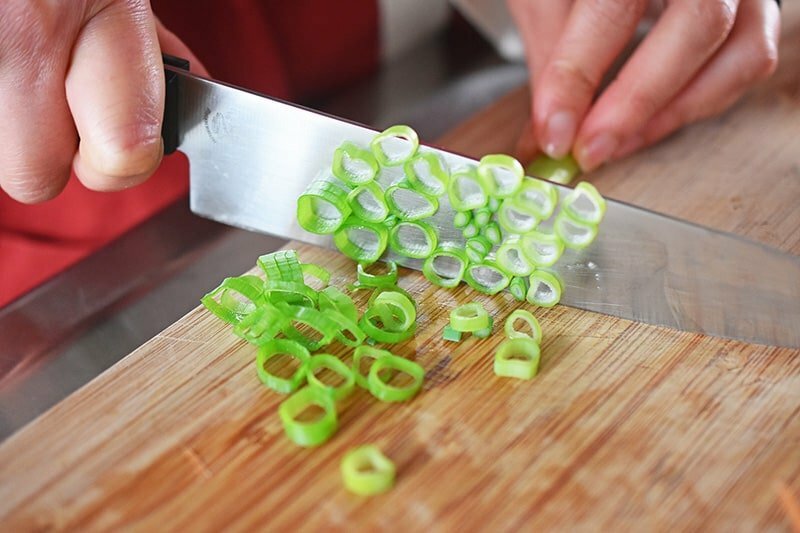 Finish dicing and chopping your other veggies and herbs. 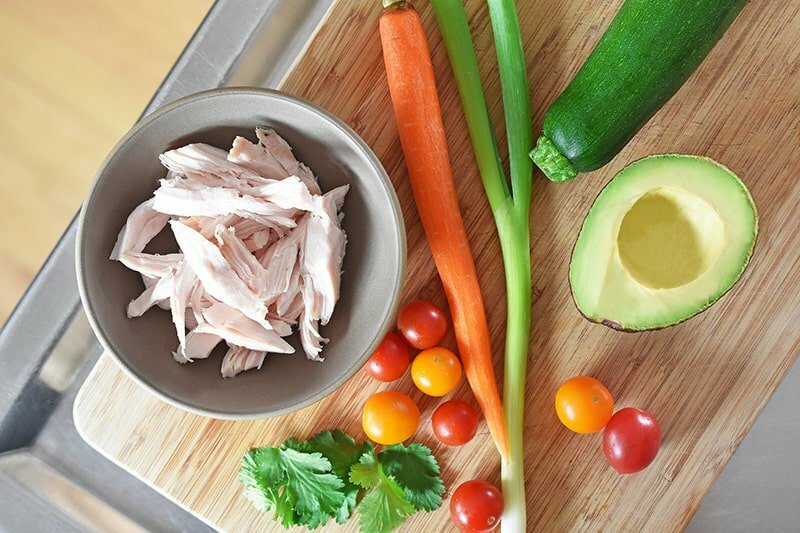 …and add the julienned carrots and chicken. 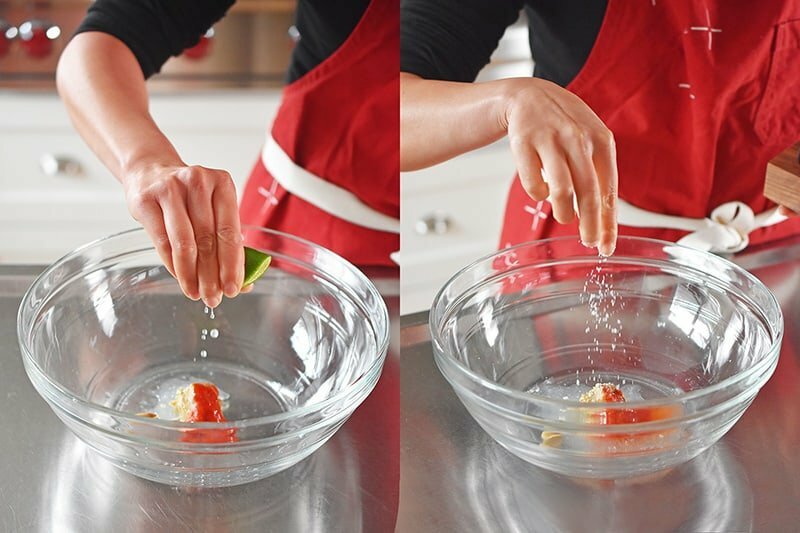 If you’re feeling fancy, transfer the salad to a clean bowl and top with cherry tomatoes, sliced avocado, green onions, cilantro, and toasted sesame seeds. Go ahead and eat. You deserve it! 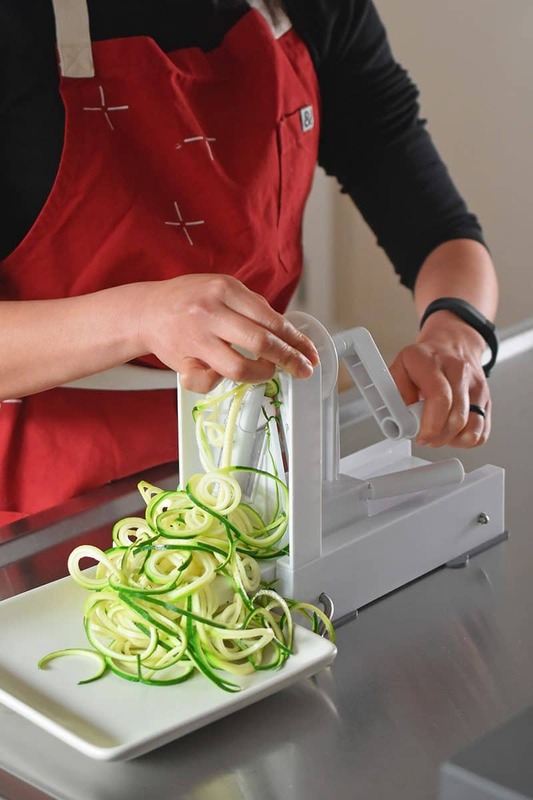 Spicy Thai Zoodle Salad: a dead-simple, Whole30-friendly, colorful, and super satisfying meal that you can get from fridge to mouth in 10 minutes or less. 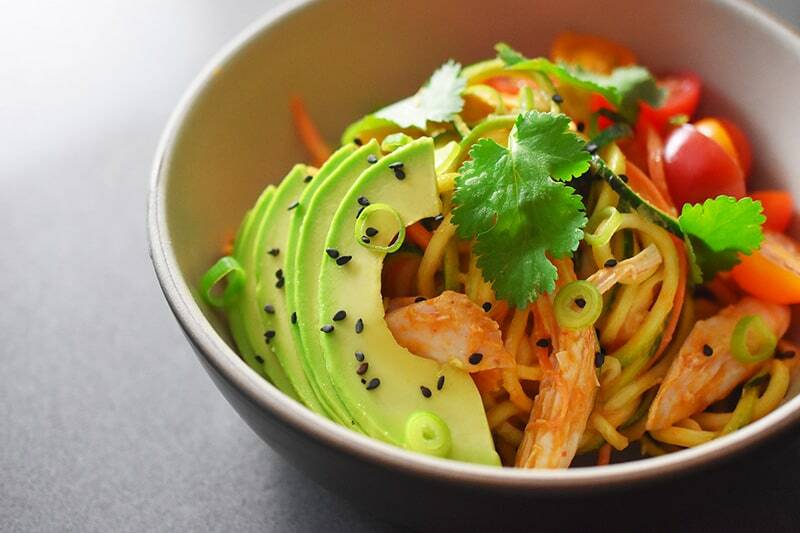 Make the dressing in a large bowl by combining the sunflower seed butter, sriracha, lime juice, and a pinch of salt. 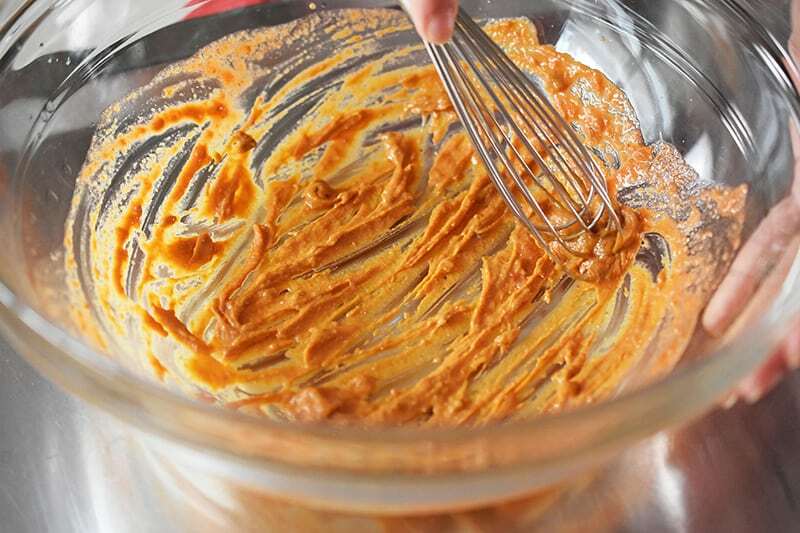 Whisk well to blend a thick sauce. Ta-dah! 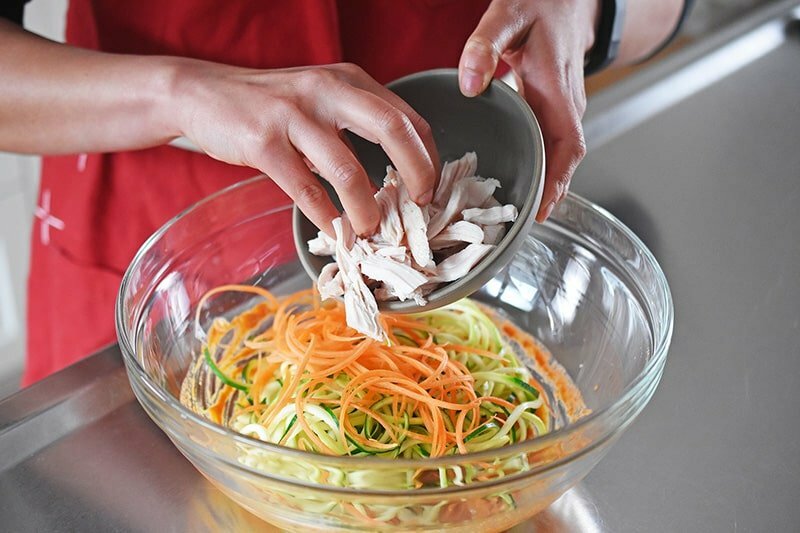 Dump the raw zoodles into the bowl of dressing and add the julienned carrots and chicken. Toss well to combine. 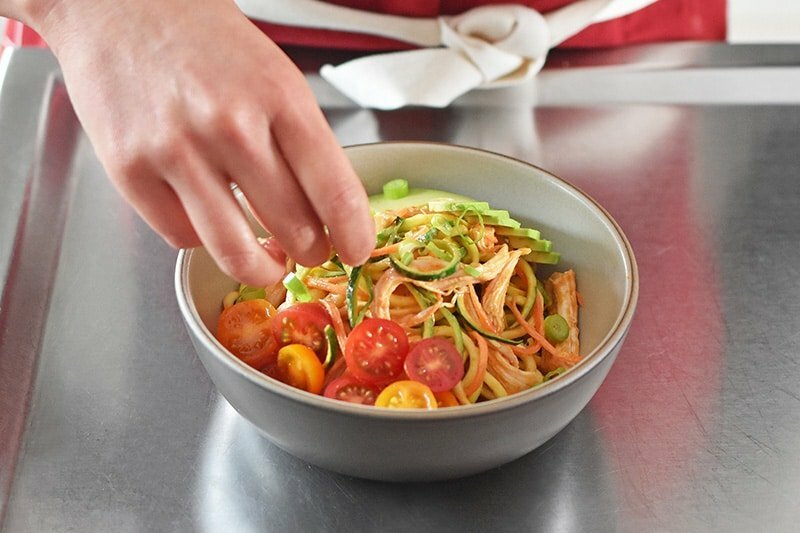 If you’re feeling fancy, transfer the salad to a clean bowl and top with cherry tomatoes, sliced avocado, green onions, cilantro, and toasted sesame seeds. Eat immediately.